Cinema has been life to Subhash Gai. His focus was always around cinema, whether it is writing, direction, production, grooming talent, bringing in new technology and bringing business in place. There was constant struggle and aspirations to look forward, to explore new avenues of business of cinema which means business of creative arts. Ghai says, "For 40 years I have been exploring different avenues. I always believed in today and that is the only formula I used. The best things about Mukta Arts are that we have at least 20 people working with us since 1978. There is a huge team spirit in the company despite of so many changes." Filmmaker has to look after the art, technology, science and commerce. It is a paradox and ironical at the same time for any person who is creative to look after commerce and other paradox is who believes in commerce to look after technology, innovation and creation. Says Ghai, "When I am producing I think like a producer. When I am writing, I am a writer. When I am directing, I am a director. So the writer talks to the director for the creative product. Director talks to the producer for the budget. I have been playing three roles as a filmmaker and also a Chairman of my company." Ghai says that when Mukta Arts became Public Listed Company he trained himself to be a chairman and learnt how to handle the parameters of a corporate company. He adds, "I have always been a good student for all my life because learning has made me the master of craft I am involved in. It made me expand into the distribution business. I always say learn to learn as quickly as possible. I am also running an institute called Whistling woods and training and grooming youth for the future of Indian Cinema and Mukta Arts." When I became from writer to director in Kalicharan other one was when from director to producer with Karz was the turning point in his life. When he started directing, he didn't know direction. When he became producer he never knew what a producer job is. He learnt the art of making and producing cinema on the job. "I became one of the top three producers of the company for 30 years. 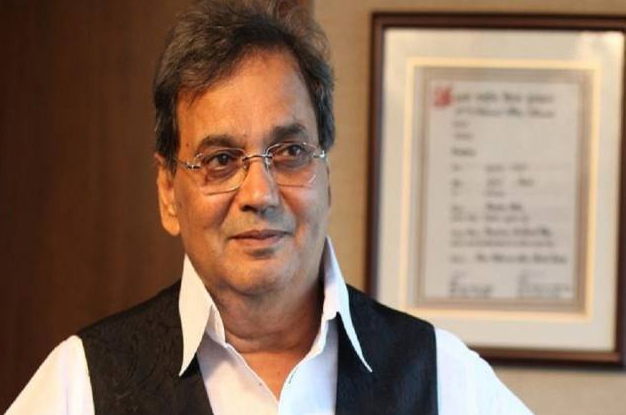 And also the turning point was when I started grooming talents and made a talent bank with Madhuri Dixit, Mahima Chaudhary Manisha Koirala, Meenakshi Sheshadri, Anil Kapoor," says Ghai. He further adds, "In my creative approach, I have always evolved and that has also been a turning point for many years I made crime thrillers then I changed my approach and made films like Taal, Pardes, and Yaadein." Gahi feels the biggest turning point in his life was when he became an educationalist from a filmmaker and today his life revolves around his students of filmmaking. He considers himself to be lucky that he is surrounded with such extremely young and talented next generation filmmakers. "I would like to pay my thanks to my team of Mukta Arts, Whistling Woods and everyone who has been associated with us." Hurdle is a part of life, there is no straightway. The biggest hurdle was when Whistling Woods, one of India's leading film schools was questioned by law due to political crisis. "We had to slow down the progress from 2008 to 2018. But now we are out of it and building better opportunities and great future. We have everything today to be as competitive as we were before. Our spirit is very strong and with this high spirit we are moving ahead. Today we have a story lab, VR lab and we are bringing futuristic technologies to Whistling Woods. Most of the people are 'No man' when they start off. "But when you become from ordinary to extraordinary, one needs to remember three things, respect people, love people to receive the same. Explore and always think ahead. Don't do your job as an employee, do your job as an employer, work for yourself, value yourself and ask yourself whether you are improving or not," says Ghai.